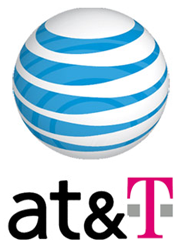 U.S. Federal Judge Harold Greene broke up AT&T in an antitrust suit that started in 1949. Now, after the acquisition of T-Mobile, AT&T&T will dominate again. Why care? Wasn't old Ma Bell reliable and lead the world in telephony development? That was then. This is now, when more than half of adults in the U.S. between 25 and 29 years old don't use landlines -- the landlines that AT&T dominated in the last century. The AT&T of today isn't the old Ma Bell. It's the re-amalgamation of Baby Bells (once elements of AT&T's vast empire), acquisitions like Cellular One, Cingular Wireless, and much, much more. What's the short term effect? Verizon Wireless, the carrier I use, has ended smartphone all-you-can-eat data plans, in favor of tiered data plans, much to the immense consternation of their clientele. Why make their clients unhappy, you might ask? Because they can. The alternatives now offered, when AT&T&T and Verizon have 80 percent of the U.S. market are small. Sprint, hobbled by their relationship with Clearwire and costs associated with 4G/LTE and a historical problem with customer service that is now said to be improving is the longshot, dark horse in the race. There are a handful of other carriers who will feel slimed by lack of mention -- but they're statistically insignificant. Behind the scenes are an army of lobbyists and lawyers working the halls of U.S. Congressional Office Buildings in a full-court-press attack on those that would oppose the merger. This tactic has obviously worked before. I watched as in my neighborhood, Indiana Bell became Ameritech became Southwestern Bell. In a reverse merge deal, Southwestern Bell, already bloated with acquisitions, became AT&T after divesting certain assets. Just about everything Judge Greene did has now been undone. As the U.S. loses its landlines, AT&T is holding onto what's left, and garnering the burgeoning phone market -- along with the ultimate deal with Apple for the initial exclusive U.S. distribution deal for Apple's iPhone and iPad. Now, the only other U.S. carrier with distribution rights for Apple's mobile offerings is Verizon. In two convenient deals, Apple gets 80 percent share. Who needs to worry about smaller carriers? They have the big ones. The entry point for nationwide coverage is simply insurmountable to break into the market. Undercapitalization would be suicide. As the roles of State regulatory authorities have been vastly hobbled in the post-Judge Greene era (as a result of subsequent legislation), those pesky State agencies that used to have regulatory authority have been usurped by the US Federal Government. This wasn't an accident. Who would you rather deal with, 43 different state regulatory authorities, or thoseconvenient people on Capitol Hill? T-Mobile and its nominal parent, Deutsche Telekom make out like bandits in either event. From nowhere, in about a dozen years the T-Mobile brand has become solid, yet suffers the same capitalization needs other telcos require: enough to cover an enormous Continental US geography. It's a great exit strategy for T-Mobile to sell out, and the only one that has the low-hanging-fruit motivation to do it is AT&T. If you though that the U.S. mobile market was ugly, AT&T&T will prove the point that monopolies stink, and AT&T's bloat will finally allow them to rise above the label of being Southwestern Bell -- with lipstick. This story, "AT&T/T-Mobile: Why this New Monopoly is Bad for Consumers" was originally published by ITworld.